Melissa General, an OCAD U Photography alumna and the Manager of the university’s Indigenous Visual Culture Student Centre & Services, has been selected to receive an emerging leadership award from the Ontario Arts Council. 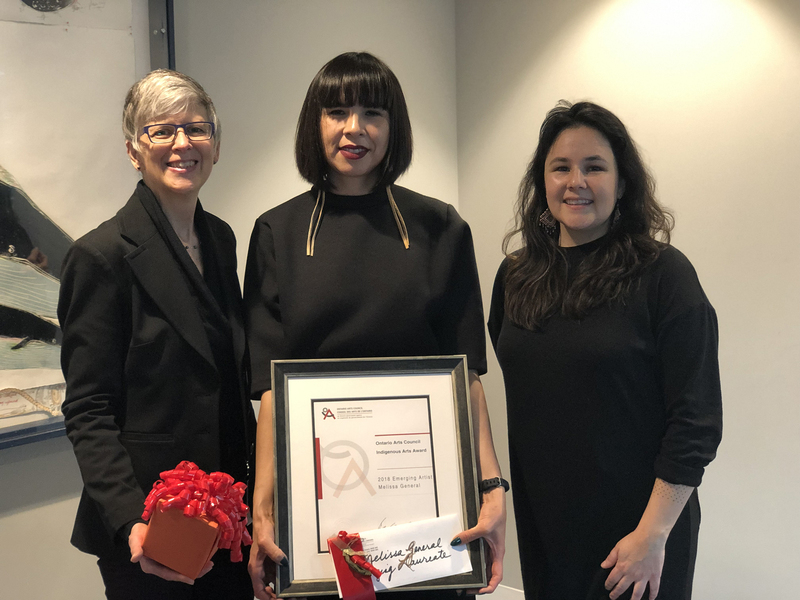 The award recognizes a rising Indigenous artist or arts professional with a $2,500 prize, with the recipient being nominated annually by the OAC’s annual Indigenous Arts Award winner, who was Nadya Kwandibens in 2018. Please join Illustrator Christina Sealey on Friday, October 16th from 6 -9 pm for the public reception of her exhibition, Figure•Ground at the Boarding House Gallery in Guelph. This show officially opens next Tuesday, October 7th and will run until November 21st. This is a unique show for me in that it will feature her figurative work from 1998 - 2015, covering nearly 20 years of her painting practice. The exhibition includes generous loans from a number of private collections and from the public gallery, the Varley Art Gallery of Markham. This exhibition was also generously supported by the Ontario Arts Council, an agency of the Government of Ontario. Continuing Studies Manager Evan Tapper has received an Ontario Arts Council grant to create My Dybbuk, an experimental animated documentary. The project will tell the incredible life story of the late Canadian theatre legend John Hirsch through hand-drawn rotoscope animation. In 1973, Hirsch directed The Dybbuk at the Manitoba Theatre Centre, a play based on Jewish folklore. The animation echoes the supernatural narrative structure of the play where the ghost of John Hirsch suddenly appears to Evan, 41 years later to inspire a new generation of artists.